A new creative idea to help cut down on the costs of additional carry on baggage. 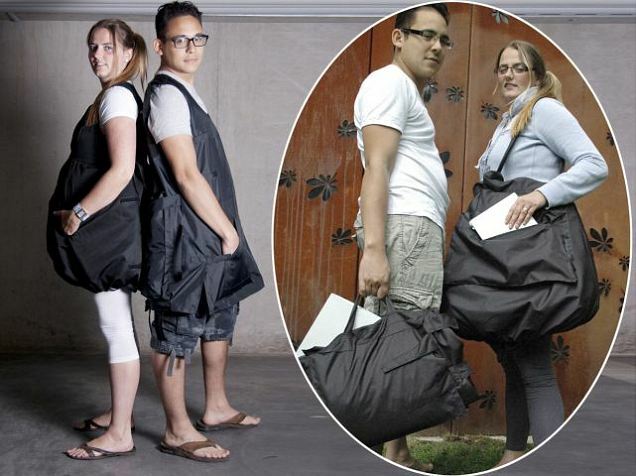 It’s a coat that also doubles up as a carry on bag. Nobody hates paying airlines more money than me …. BUT …. I can honestly say this invention is truly hideous! Does no-one remember that Kate Moss was discovered at an airport???!!! And went onto become one of thee most successful and iconic models of our time! I don’t think Elite Model Agency will be signing up any new models sporting this ensemble anytime soon!